THE SKINNY: Clinique Soft-Pressed Powder Blush is a great blush. It goes on smoothly, blends easily and lasts all day. This blush may be a powder, but it's almost creamy on the skin. It's not the least bit chalky and all the colors are designed to warm the cheeks. That means it looks more natural than most blushes I've tried, too. The applicator brush that comes with the blush is basically worthless. I use a much-larger, fluffy brush to apply. 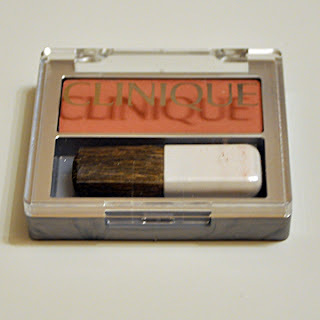 CHECK IT OUT: Clinique Soft-Pressed Powder Blush comes in eight colors.